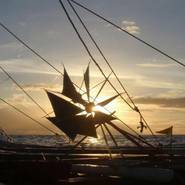 Project Windvinder works with islanders in South East Asia and Oceania, encouraging people to revive their sailing culture, to become independent of fossil fuel. Since we are having the same problem in the rest of the world, we are also busy at the high tech end of the scale, in the development of industrial wind propulsion for the cargo ships of tomorrow. Two ends of one and the same problem, and they have one thing in common: everything we need is there, and yet, with few exceptions, it doesn’t really get off the ground – not on a larger scale. Why is it so difficult to make it happen? We have more knowledge, more capital, better technology in the world than ever before. We know, for example, that carbon-free shipping has been possible since thousands of years. “The problem is not that we lack capacity.” says Osvald Bjelland - “It is that we are thinking too small and moving too slowly.” And this is where Project Windvinder starts – an interdisciplinary propulsion research project that links the technical challenge to move the ships of the future with where it all starts: how to move people. In 2014, we launched the International Windship Association. 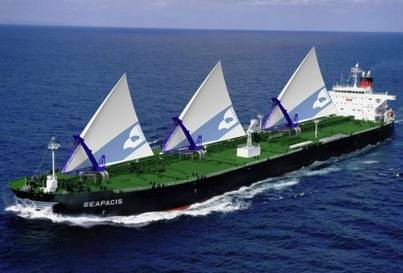 Our aim is to create a global network to for the development of wind propulsion in commercial shipping. It's fascinating to see how many people from all over the world are busy with this - engineers and NGO's, naval architects, universities, huge companies... ambitious, highly innovative shipbuilding projects. It’s high time to get this network organized, and finally stop working against each other. But the interesting question is: How can we make it happen? Bring it from the computer screen to the ocean, turn the few forerunners which already operate at sea into a global reality? It is difficult to find finance to start building, because too many people still don’t believe it’s possible, think it’s someone else’s problem, or don’t even think it’s necessary. Technology is well underway. The problem is how to get the people on board. And this is, basically, what Windvinder is doing: bring people on board. Let people experience with their own hands that they are able to move. Western thinking starts with the barriers – which are all home-made, but everywhere around us: we sit in our silo and think in circles. We find no finance because people think it’s not possible, and why is it not possible? Because there is no finance. A single prototype of our high tech vessels costs dozens of millions. It does answer all the possible doubts of all the possible opponents. But can it be built? Can enough of them be built before climate change has reached a point of no return? “No problem can be solved from the same level of consciousness that created it.” says Albert Einstein. We have to step out of this circle, and look at the bigger picture. Is it necessary? Yes, it is. We are facing catastrophic climate change, not maybe, not in a distant future, but in our generation – and it’s certainly not someone else’s problem: no one else will solve it for us. Is it possible? Of course it is. Carbon-free shipping has been possible for thousands of years – let’s keep this in mind. The rest is details. Details that can be solved. So it is necessary, and it is possible. The question is how. Imagine we would start, for a change, not with the barriers, but with what is possible? Imagine we could sail, somehow, across our own horizon - not to stay away forever, but to look at our little world of unalterable truths from outside for a while, and return with new ideas? Meet people who find normal what we thought to be impossible, who don’t think in our limitations, because they simply don’t know them? We should not only meet these people, I think. We should build ships together. Expedition vessels to cross borders. And then the cargo ships. This is not a fairytale. Shipping is by definition something that happens between here and there. 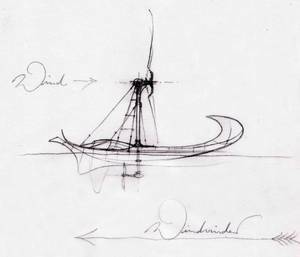 Ten years ago I built the original Windvinder, first ship of a growing fleet of border-crossing expedition vessels, to explore the world beyond our limited horizon. The unmanned research vessel is operating on the Pacific Ocean since 2008, steered by wind alone and driven by headwind, as a platform for ideas - changing form all the time, and inspiring generations of new boats. Part 2 of Project Windvinder starts now - bringing western students together with Pacific islanders in the further development of this experimental training fleet, to help revive a culture of sailing, encouraging the building of seagoing sailing canoes in Oceania: fishing-, cargo- and passenger vessels. The same as what we need here, only in another culture. Why should we support a fleet of canoes at the other end of the world, instead of concentrating on our own problems? Obviously we are having the same problem. We need to get independent of fossil fuels, and first of all we need to experience that this is possible. 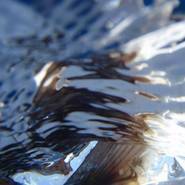 I suggest to start where it is feasible – in a human scale - and learn from what we see growing. And I suggest to work together with people who see the necessity of urgent action: Oceania is at the front line of climate change (rising sea level, dying corals, scarcity of fish…). And it’s the region most dependent on sea transport in the world – 10 million people on 25.000 islands, scattered over 3 million square miles of the Pacific. 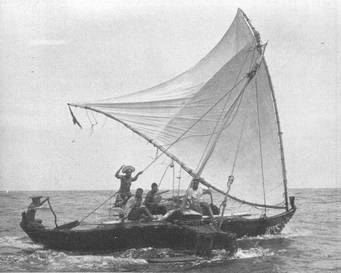 Polynesians were the most famous seafarers of the world, before white colonial rulers banned the seagoing sailing canoes to have full control over the islands. Now the islanders are “free” again, but the culture of sailing is lost in most places. The people depend more than anyone in the world on imported fossil fuel (transported by fossil fuel) – which is increasingly unaffordable and a major barrier to development. Fishermen can’t move their vessels anymore, islands lose contact with the outside world. These people know that things have to change, and that there is no time to lose. They are the most resourceful people with the finest feeling for wind that I have ever met. 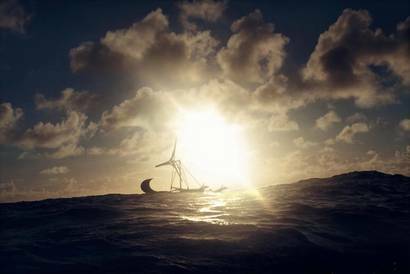 The old ships are lost, but the essence of the ancient knowledge is still there, deep in the hearts of the islanders. This is the moment to build something new. On some islands they do build new sailing canoes. Great and proud vessels. But why does it not spread across the whole ocean? 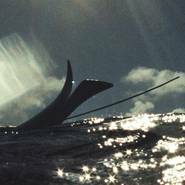 I have worked with tuna fishermen in the West Pacific. Of course they could sail, but they don’t do it: they want to be modern people. They don’t know that the most modern people in the world are investing millions to find out how to sail their ships again. Very little is necessary, and these islanders can show us the way. Communication, more than anything else. The islanders, no wonder, don’t listen to white people who tell them what they have to do. 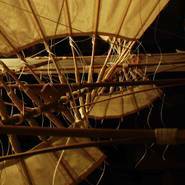 But they do listen to an unmanned Winged Canoe that invites them on a voyage… not from A to B, not for any understandable economic purpose, but to where the wind comes from. No one has been there before. This is a voyage into the future – not into the past. 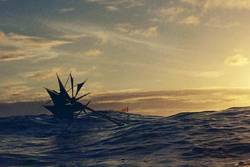 Windvinder is free and underway, and NOTHING ELSE. Windvinder invites his finders, the Windfinders, to come on board and improve the construction: People experience with their own hands that more is possible with wind than they might have thought before… and that they can do it – with what they have and who they are. 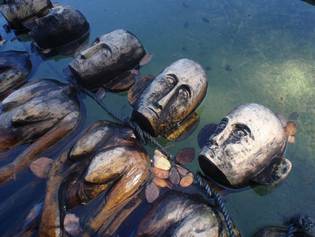 Fishermen explore and improve the mysterious vessel. The stranger becomes one of them, with each repair a bit more: a mechanical thing with gearbox and propeller evolves into a creature of the ocean. It’s fascinating and unsuspicious. Seems like a game… while it turns victims into wind experts again. It is as simple as that - remove what’s obstructing change (“I don’t like people giving me advice”), so people can try out and play: Windvinder is a pure idea, no people on board. He offers a sheltered space where you are allowed to think what you would not dare to think in your normal surrounding. A parallel world laboratory… turning headwind into a brainstorm. People repair and improve the original vessel – and start building own Windfinders: they love the challenge. Can you do that? 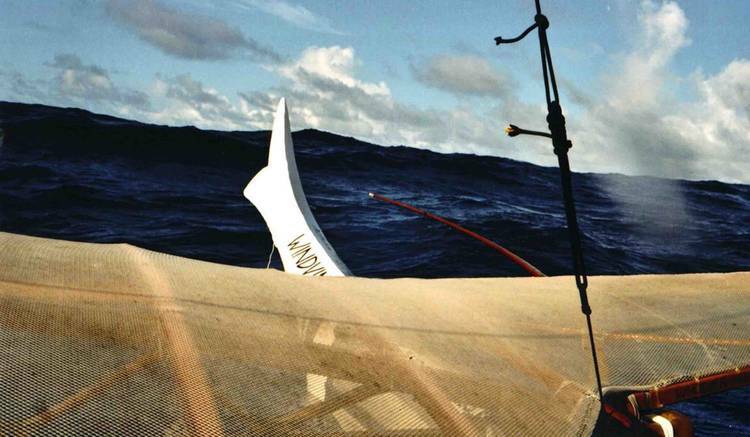 Turn headwind into propulsion… who on the ocean would not love to be able to do that? Take the energy of what seems to push you back, and use it as your own propulsion! A whole fleet of curious headwind driven creatures is growing, an evolution towards simplicity and seaworthiness. And these are the important Windfinders: built on the islands, from local ideas and local material. Low tech but real life! The only common language we speak are the things we make: a new generation of Windfinders – crossing borders in both directions. Islanders find out that modern people do use wind. And western engineering students - making friends in waters where climate change is a reality and not a computer animation - not only see how urgent the situation is, but also how little is actually necessary to make things happen. The retranslation. The headwind drives that we have developed for the Windfinders are much more difficult than what we actually need. That makes the next step simple – the most important one: put a sail on your own ship. Once you have experienced that you are able to move, you don’t go back anymore to immobility. If you can sail with eight sails against the wind across the open ocean, you can take one sail and go from A to B. Quite an obvious solution, after all – and not as complicated as many engineers tend to think. Old barriers don’t appear as unsurmountable as before, once we have seen them from the other side. Great projects are underway on all “ends” of the world. Windvinder doesn’t say that one is better than the other. Each new sailing initiative, big or small, is worth gold. The question is: How can we make it happen on a global scale? People all over the world have to make it their own project. They have to know they can do it, they have to know how, and why. We need not only both approaches – high tech and low tech – we need the exchange of perspectives: not to build canoes for the port of Rotterdam, or space ships for remote islands, but to find out how much more is possible (and indeed, already happening!) than each one alone could imagine before. Why do we spend our time with experimental headwind vessels, if what we need is a fleet of hardworking real ships? The technology does exist on both ends of the scale. The problem is that the idea doesn’t spread. Islanders don’t sail because they want to be modern people; modern people develop high tech vessels which are not being built, because prototypes for fuel-saving technology cost more than wasting fuel - in the first moment – and we can’t agree who should pay for what. People on both ends of the scale need a broader view, a global, long term vision. We need ideas from beyond our barriers – and to find them, we have to leave our castles. Turning headwind into propulsion is not a final aim. It’s a wonderful challenge on the open ocean, to think wind power to its limits – and beyond: it’s new and unknown for most of us, a neutral territory where islanders and engineers can meet on a same level. Only where you don’t have to defend your familiar territory (“I know what I’m doing, you don’t have to tell me anything”), you feel free to be curious and explore ideas from behind your horizon. 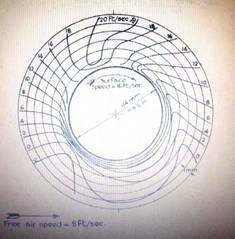 We don’t build the Canoes of Oceania, and we don’t build tankers with flettner rotors – we build Windfinders: a parallel world laboratory as a place where we can meet, where we can play with ideas and new perspectives, learn to listen and build trust without losing our face. And then the real ships: canoes and freighters. What is different now? Just the perspective: This time we start with what works – and not with what seems to make it impossible. Voyage and building projects on the ocean will be accompanied by talks, workshops and a traveling and interactive exhibition on land about the growing swarm of Windfinders. If you are interested in the exhibition or other events, please contact us .